I would like to enter this journal page in the current FSC challenge "Animals". 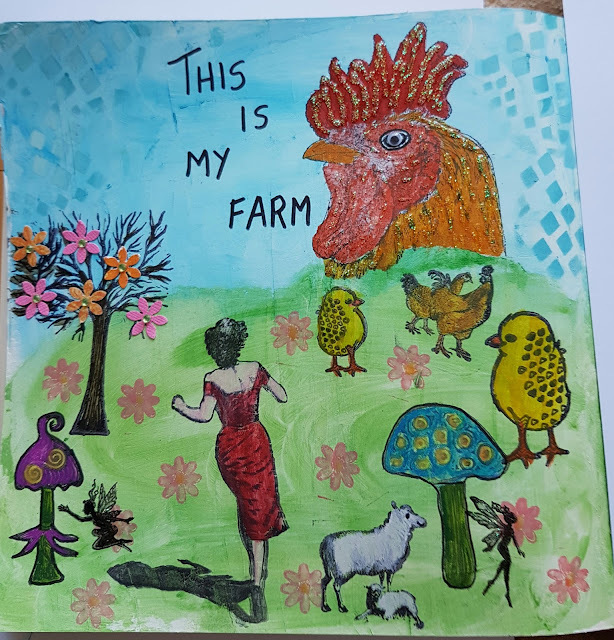 Because I have a history of living on a farm with a pet rooster I thought this page appropriate for my journal. Thankyou for viewing my work. Cheers Judy. Wow, very beautiful! Thank you for sharing with us at Fashionable Stamping Challenges. Great page Judy lots to see and admire.